Blinds Chalet offers high quality window treatments that are priced significantly lower than retail stores. 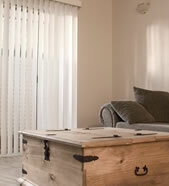 We also offer a wide selection of different window treatment types and ideas. Below you will find our top window coverings. Many customers have come to us with great custom window treatment ideas and we have provided them with solutions. 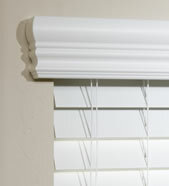 Custom window coverings from Blinds Chalet can add privacy to your home and a great look to your overall decor. Shop window treatments listed on this page that are great for insulating your windows. 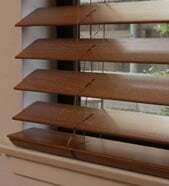 Designed to look like real wood, faux wood blinds are an inexpensive alternative. Great window treatments for kitchens, bathrooms, or other high moisture areas. Designed with real wood slats painted and stained to showcase the natural beauty. 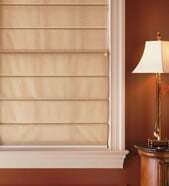 Wood blinds are one of our most popular window treatments. Window treatments that are ideal for the budget conscious. Aluminum mini blinds are great for privacy. Light weight and easy to operate. Perfect for large, hard to cover windows such as sliding glass doors. 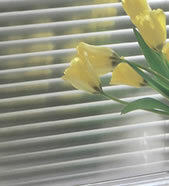 Vertical blinds are a window treatment that comes in a wide range of vane colors and styles. 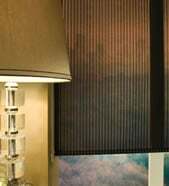 One of the top insulating window treatments, cellular shades are a great way to save on power bills. 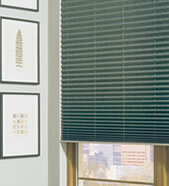 Honeycomb shades come in a wide assortment of pleat sizes and fabric colors. 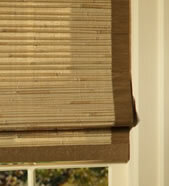 Window treatments made from all natural materials, bamboo shades are a great way to decorate your windows. Roman shades are window treatment designed with various types of fabric. Choose from traditional flat panels or upgrade to hobbled fold panels for a fuller, richer look. 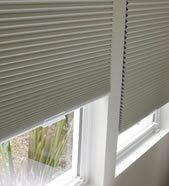 Roller shades are a contemporary window treatment made from fabric that rolls onto a tube. 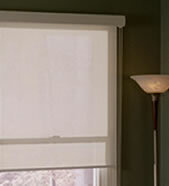 As with any fabric shade roller shades offer a wide selection of colors. 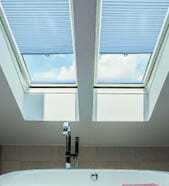 Solar screen shades are a great way to block uv rays and reduce glare without blocking the view. 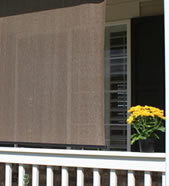 Offering both privacy and light filtration within the same window treatment. Soft sheer shades are designed with either light filtering or blackout fabric for privacy between sheer fabric for light filtration. 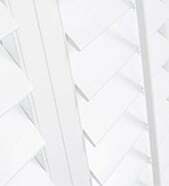 Pleated shades are a fabric window treatment available in a wide selection of colors. Similar to honeycomb shades with a lower price tag. The Official blinds of Major League Baseball™, these window treatments showcase the logos of each major league team. 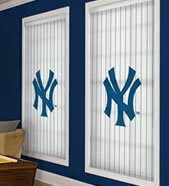 Show your support of your favorite team with an MLB™ window shade! National Hockey League® roller shades come in all the official colors and logos of your favorite teams. 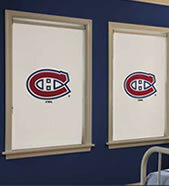 Show your team spirit with an NHL window treatment. 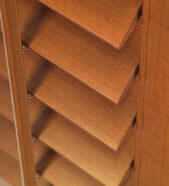 Wood alternative shutters are ideal for high moisture areas as they are made from synthetic materials. Designed too look like real wood shutters at a much lower cost. Real wood shutters display the colors and grains of the real wood they are made from.